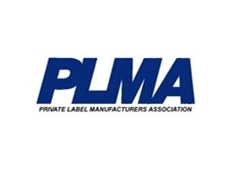 The Private Label Manufacturers Association (PLMA) of Australia and New Zealand is part of PLMA International, an association that brings together over 3,000 private label manufacturers worldwide. Private label products are defined as the merchandise that is sold under a retailer's own brand. A multitude of these products are sold today by major supermarkets, pharmacies, hardware and department store. Private Label portfolios include fresh food, frozen and ready to eat meals, beverages, packaged goods, health and beauty products and clothing apparel. Private Label categories include automotive, DIY merchandise and services. The Private Label Manufacturers Association defines its mission as "to foster the growth of private label products through the promotion of best practice, quality enhancement and a focus on innovation." To do this, PLMA Australia works to build mutually profitable partnerships between its members and retailers by facilitating the exchange of the latest trends and developments, and by constructively addressing issues, opportunities and objectives facing both parties. to maintain a strong membership base. PLMA notes that in the past few years, private label products have gained an increasing share of retail shelves, with retailers worldwide recognising the value of a robust private label program. In Europe, private label products now account for more than 30% of the value of supermarket sales. In the USA the share is around 26%, and in Australia it is 25%. Private label products contain the same or better ingredients than manufacturer brands, and can serve to enhance retail profit margins and enable retailers to differentiate their offerings from that of their competition to build customer loyalty.